High voltage cable 6m is an important part of the X-ray machine operation, so in the process of maintenance of the X-ray machine, the first thing to check is the high pressure parts, the first to X ray tube of anode and cathode high voltage cable 6m head off, suspension and high voltage cable 6m head cannot alignment metal can produce high voltage discharge, otherwise it’s important to note that the cathode must solve, after off if anode cathode unsolved, add high voltage anode filament light,Electrons are fired at the anode target, causing it to be punctured or partially melted. Then, high-voltage power test should be carried out to observe whether the milliammeter has an index or not. Full deviation can confirm the breakdown of high voltage cable 6m. Or, anode cable is pulled out from the high-voltage generator. 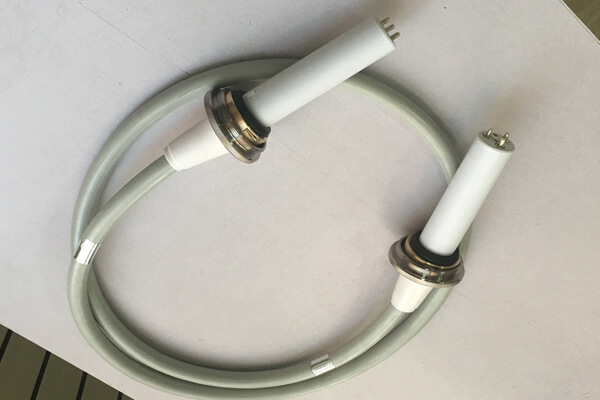 According to the test, when the high voltage cable is in good condition, the high-voltage cable should be restored and put on a tube sleeve. Avoid bending and damage of high voltage cable 6m. The Newheek high voltage cable 6m is divided into 75KV and 90KV, the length can be customized, and the connection can be divided into straight and curved ends, which can also be customized. Our high voltage cable 6m will meet your needs.